El Amerikano is a new casual eatery in Fullerton. They have their own take on Mexican cuisine - pairing foods like al pastor-glazed pork chops with farro salad or offering their vegetarian take on the classic ceviche, which is unique and different. Its sister restaurant, that's just a few doors down, Kentro Greek Kitchen, seems to play a big influence on the dishes at El Amerikano. In fact, that's the best way I can describe this place to someone: Mexican food with a Mediterranean influence. El Amerikano is not a traditional sit down restaurant where you order at your table from a server. Instead, you order at the counter and take a number to your table where a server brings your food out. 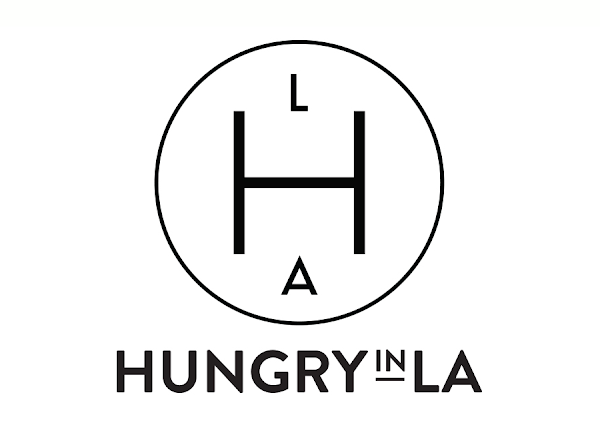 It's a fast/casual experience but with elevated food from your typical casual restaurant. Take the fried cauliflower for example, it's served with machego, cilantro, and garlic aioli and tastes like a dish you would get a full service gastropub. This is one of the shared plates you need to try here. Also, the rib eye picado with salsa verde served with warm flour tortillas is an excellent take on Fajitas-meets-carne-asada. The beef is tender, and cooked perfectly. Everything is paired well with the options of a good beer and wine list to choose from. You can't forget about dessert. Do yourself a favor and order the Churrogato! French Vanilla ice cream, warm house made churros, and a shot of Stumptown coffee espresso to pour over it. 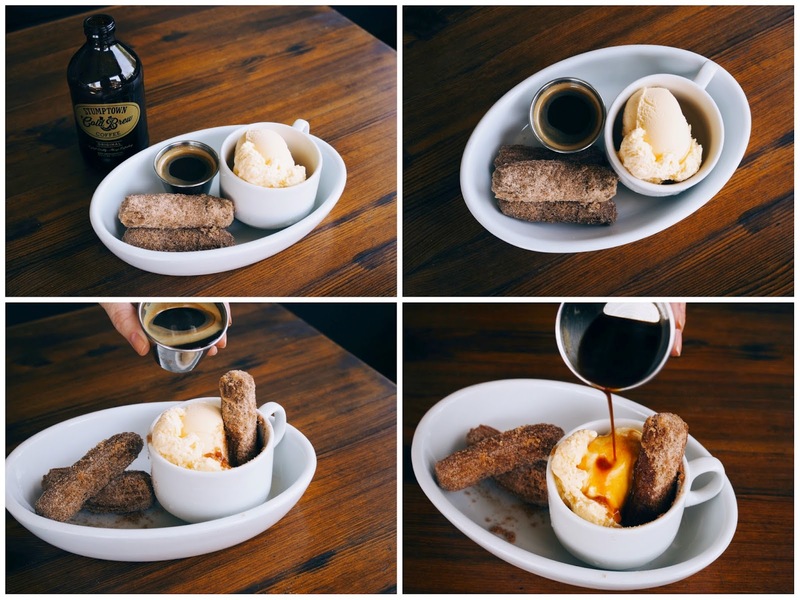 It's essentially an affogato with churros and it's a perfect way to end your experience at El Amerikano. Cauliflower Fritas with manchego, cilantro, and roasted garlic aioli. roasted corn, tomato, goat cheese, and shallots. Rib Eye Picado: char grilled rib eye, mushrooms, sweet peppers, cabbage, goat cheese, eggplant, pepitas, salsa verde, and served with flour tortillas. Al Pastor Chop: pork chop with al pastor glaze and farro salad. and a shot of espresso to pour over.